Mid-Town Parish is a part of the North Philadelphia community. We seek to support, uplift, encourage and help the neighbors in our community. 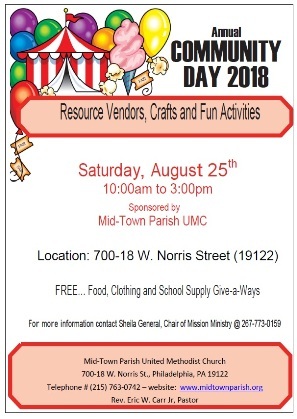 Please come out and join us on our Annual Community Day. 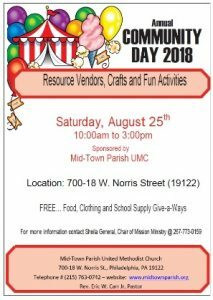 There will be many valuable resources available for families and children, including health screenings, school supplies, and important information.